The mask is comfortable, fit as expected, and was the same shade of pink as pictured. It fits well and I love the fact that the material extends all the way down and does a great job of covering my neck. It fits as expected and is a nice hot pink color. 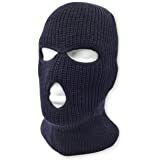 KEEP WARM with TopHeadwears high quality 3-hole ski face mask that will keep you warm during the winter. ONE SIZE FITS MOST measuring 16.5 inches in height by 7.5 inches. 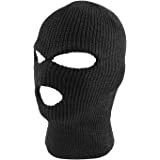 The soft stretch of the ski masks allows the mask to be one size fits most for adults. 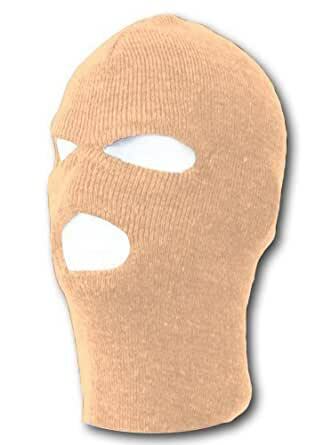 Soft stretch makes the ski mask comfortable and cozy. FABRIC MATERIAL is made from 100% Soft Acrylic which allows breathable ventilation process for the whole head. Ships from and sold by Gravity Trading. 4.0 out of 5 starsMore of an orange pink. Despite negative reviews regarding the fit & finish I got this anyway. The fit was bad but was expected so I marked it "Fit as Expected"! I got this for my 89 year old aunt. Her favorite thing to do these days is to go outside for fresh air and sunshine. Winter is hard on her because she gets cold very easy. I got her a puffy jacket, two battery powered hand warmers, insulated booties, and extra blankets to wrap her in. The only cold spot left was her face. Despite poor eye holes she picked this cause she likes pink! 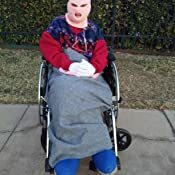 It works well enough for our purpose as she can now do 30 minutes outside when it is in the 40s! -The stitching between the eyes is terrible. It broke in a couple hours. -The distance between the mouth hole and eyes was only about one inch, so it is more like a nose hole than a mouth hole. 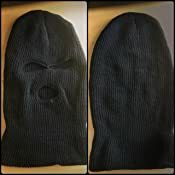 The mask pictured here shows the holes spaced MUCH better than the one I actually received. 5.0 out of 5 starsNot Expensive And Works Great! I got tired of having to always pull down my "beanie" over my ears to keep them warm, and I don't like wearing a scarf when I have to shovel snow...so I sprung for one of these, and I am really pleased. It fits well and I love the fact that the material extends all the way down and does a great job of covering my neck. I tested this out shoveling snow on a day where it was 2 degrees. Granted, it was sunny and it wasn't windy...but 2 degrees is 2 degrees! I felt like I was sitting in the house in front of the fireplace. My face, head, ears and neck all felt toasty. Love the color, too, as it goes well with my L.L.Bean jacket. Granted, I can't wear my glasses with this, but my vision is good enough that I can shovel my walkway and driveway without putting myself in any danger! One thing people might like to know is that it has to be REALLY cold if you are going to wear this. If the temperature is above 20 degrees and you are going to be shoveling for any length of time your head is going to get sweaty. But in that situation, just elect to wear something different. For the really nasty days, it's nice to have this baby in your arsenal ! I bought the orange hat for my step dad and it was too small! It was so small that it was more ideal for my 7 year old than my 58 year old step-dad. That being said, my mom called the company up immediately and she was sent another beige (I ordered her a beige as well). It got to her really quickly and it's a nice mask! My step-dad is a trucker, so he needed a mask to cover his face since our winter this year is supposed to be really bad. The eye holes and mouth hole are plenty big enough. The material is thick enough to keep your face warm but if you are have short hair, your ears might get a little cold because the wind will push through if it's blowing decently. Overall the masks are great if they're the correct size. I'm scoring this particular color a 3 star because while the product is fine in construct, the color I ordered wound up being a child's size and not fit for an adult. There was no indication of sizing listed either. The balaclava was packaged very nicely and came just on time! Was very excited to receive it! Upon opening, there was no particular smell. It just smelled like cloth. The material is really soft and thick and feels like great quality. I can definitely see this lasting me for many winters to come. It wasn't too long nor did it bunch up at the top of my head. It also felt like if I were running or something, it would stay perfectly in place. Not too loose or too tight. It felt nice and snug. The only thing I can complain about is the thread in the middle of the eyes. As you can see in the photo the thread was hanging out towards my eye and when turned to the side it appears to be only holding on by a few threads. But that's nothing a little needle and thread can't fix. Very satisfied with my order! 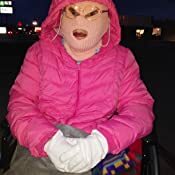 3.0 out of 5 starsMommy, a Mummy! Winter is Coming. Extra cold winter nights walking the dog called for desperate measures. 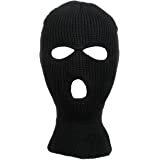 I wanted to try one of these ski masks out. These are very reasonably priced and come in 10,000 colors (unfortunately, mostly bizarre color/ski mask combos - tangerine anyone?). I choose to get a white mask because It was the most feminine and least mugger like. White was not a good choice. It's ribbed, so I was referred to as a walking toothpaste cap, burn victim, mummy, scary movie creature, etc. 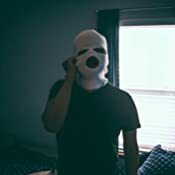 The ski mask is thick and comfortable except around the eyes. When worn, the bottom of the eye holes shift up to right under the eye. Like a cotton false eyelash. Very irritating having to keep pulling the entire thing down, especially while trying to hold a dog leash. A++ for the fun and scaring the neighbors, B- for the product. Next time, definitely not buying that color.